Travel insurance providers are preparing for an uptick in Zika-related inquiries and claims, and are already beginning to field some calls related to it. Most insurance policies would not cover the cancellation of trips to countries where Zika is being transmitted unless they have a “cancel for any reason” policy in place. As for travelers who become infected with Zika while on a trip, Stan Sandberg, cofounder of trip insurance comparison website TravelInsurance.com, said most providers are treating Zika “as any other illness in the respective plan’s terms and conditions,” and if their policy has a medical component, they would be covered. 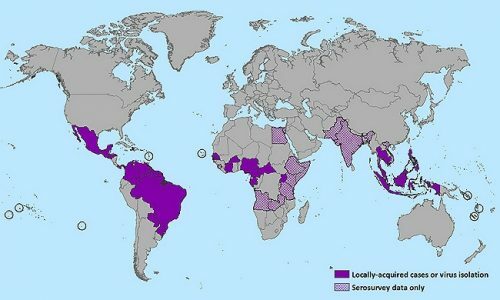 As of last Thursday, active transmission of the mosquito-borne virus had been identified in 26 countries in Central and South America, according to the CDC, as well as in American Samoa, Samoa, Tonga and Cape Verde, Africa. To read more at Travel Weekly, click here.